Material:Crazy Horse leather with cotton lining, brass fitting. Size: 41cm x 30cm x 9cm. Large inner space for 15.6 inch laptop. 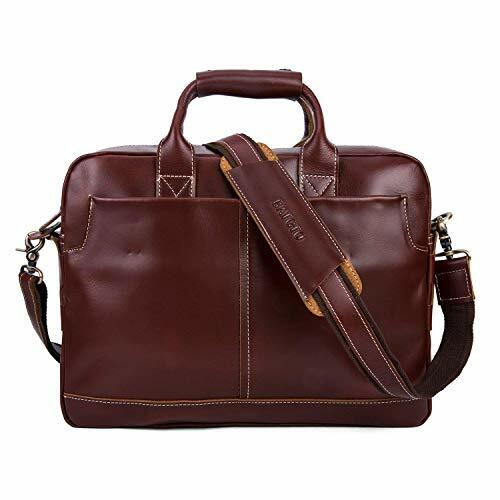 Durable leather shoulder strap, can easily adjust its length or detached.